Two more specialized, smaller projects: VirtualDub is a Windows-only open source video processor, and OpenShot is a Linux-only video processor. Both of these are very simple tools to quickly and easily splice video, audio, image, and some token effects together, but they’re not full video editors. Still, if all you’re doing is recording a desktop tutorial or taking videos with your phone or desktop cam, they’ll be more than adequate. And they’re both so simple, you can learn them in five minutes. 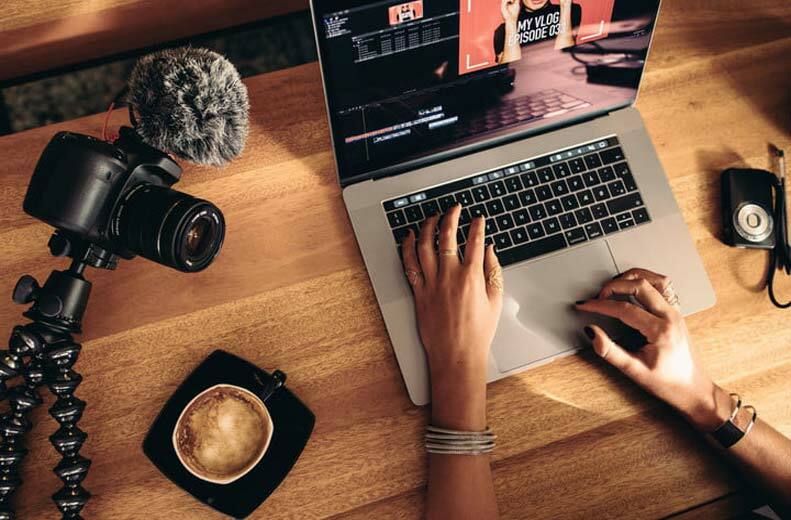 Let’s pause here and consider what video editing can mean for your online business? If you make or sell a product or service, you can make a video demonstration. You can post a regular vlog about your industry. If your business in anything technical, you can do tutorials about using the technology. You can create your own ads and buy ad time on YouTube. Produce your own entertainment series. Maybe you’re not a scriptwriter or actor, but you can assemble freelance talent through outsourcing. Your own show, sponsored by your company! 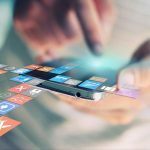 One of the driving forces behind the growth of video consumption on the web is the increasing mobile market. Smartphones, tablets, and pads are handier for watching video than scrolling through pages of text and images. So be sure to produce video content with these markets in mind. For producing image content to include in videos, you almost can’t beat Inkscape. It’s free, open source, and available for Windows, OS X, and Linux. It’s easy and intuitive to use, even downright fun, and it can produce Flash-and-HTML5-ready SVG as well as dozens of other formats. It’s been the flagship open source image application for years now, so don’t worry about it going away any time soon. A gentle introduction to Inkscape. For those of you without a grasp of graphic arts, don’t forget about the Wikimedia Commons project. It’s been growing year by year alongside Wikipedia, to the point where you can find royalty-free content on just about any subject. What about editing straight audio by itself? You’ll probably want to go with Audacity, the long-standing premiere audio editor for Windows, OS X, and Linux. Audacity is very, very feature-rich and takes a bit of a learning curve to do advanced affects, but for simple slap-dash audio processing you’ll be up and running in no time. A quick tutorial on Audacity audio mixing. One of the reasons so many people struggle with the audio part of video editing is that so few of us get a glimpse into the world of sound engineering. Unlike understanding image effects, understanding audio elements requires a good grasp of math, especially the trigonometry functions. So Audacity (and our next entry) might be a bit more challenge for some people, but if you take your time and play with it, you might find yourself hooked. What about producing background music for videos? Producing small MIDI files on the desktop with open source tools is also an option. First, there’s JACK Audio, a name you’ll need to know because it’s the technology behind all the rest. For a full desktop music studio, check out LMMS, a desktop music production studio for Windows and Linux, but not OS X yet. For simple percussion tracks, there’s Hydrogen drum machine, available for Mac OS X and Linux, but not Windows. And if you’re really brave, you might try tackling Seq 24 for Windows and Linux, which is both very simple by itself, and needs a complicated host of synthesizer plug-in support to do anything. If the world of producing audio is just too mind-boggling, may we recommend Incompetech’s royalty-free music library? These are simple MIDI files of any mood and style, free to snag and use. One more tool worth mentioning is Blender. Blender is also native to Windows, Mac, and Linux. It is a 3D drawing and animation studio. It is a very, very professional tool capable of producing pro-quality video games and animated films. It is also the most daunting software on this list to learn, by a factor of ten. If you’re going to be good at Blender, you almost have to be a monk and go away to a mountaintop temple to study it for 15 years, but for those of you who will settle for nothing less, it’s there. 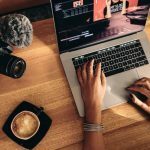 So really, open source video production can be as simple as taking a quick cell-phone camera recording, or animating and scoring a feature presentation. But for even a little effort, you can latch onto some of that video traffic for your ecommerce promotion.